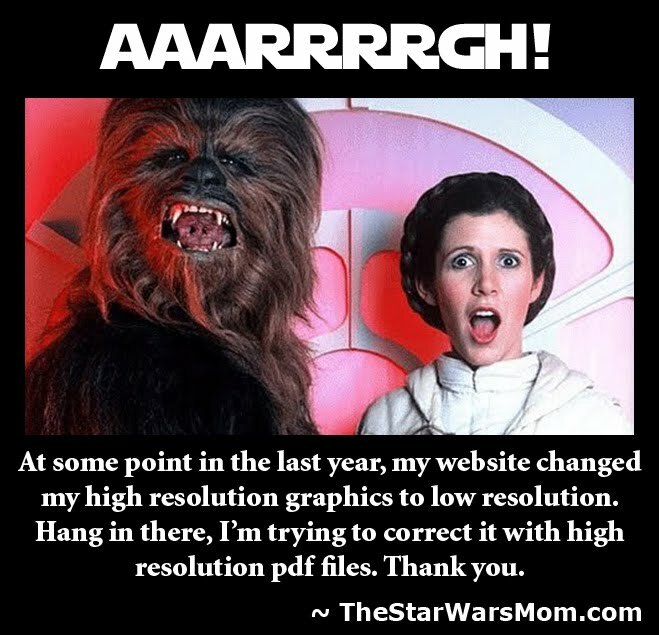 Star Wars Cookie Cutters - Review and GIVEAWAY 2013! Please be sure to read this post if you plan to use these cookie cutters or any other "imprinted" style cookie cutters for some very helpful advice. Star Wars Pumpkin Spice Cookies - Step by step. 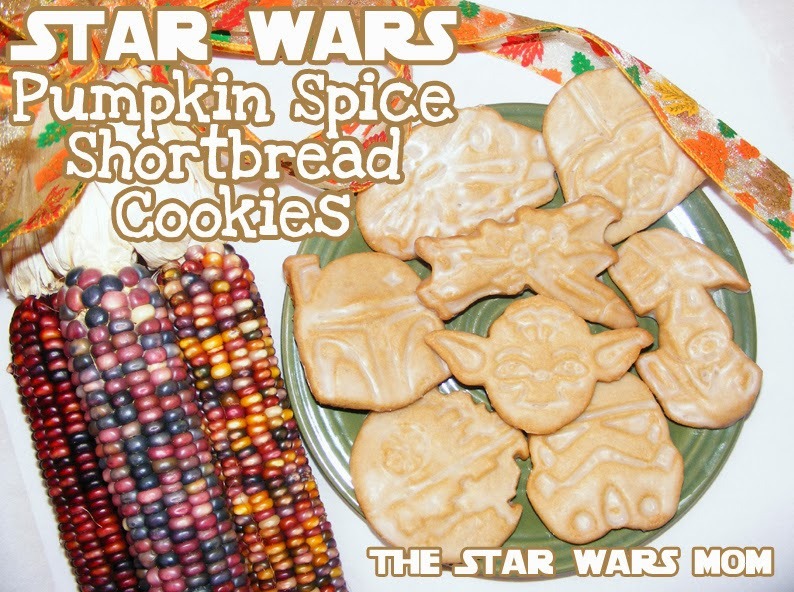 Last night I made Star Wars Pumpkin Spice Shortbread Cookies. They came out amazing, simple, and delicious! First up, the cookie cutters are from Williams-Sonoma. They came boxed nicely and included recipes for cookies and icing, though I opted for my own recipes. After baking, bring your spacecraft or character cookies to life with decorations – and let the adventure begin. 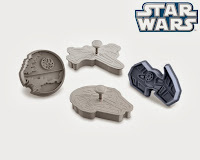 Set of four includes Millennium Falcon, Vader's TIE Fighter, X-wing Fighter and Death Star or Darth Vader, Yoda, Boba Fett and Stormtrooper. Pros: The designs are very cool, and they are easy to use. With the right dough and technique, the imprints work excellent. Cons: They did not include the decorating instructions with the cookies, which has frustrated many people. 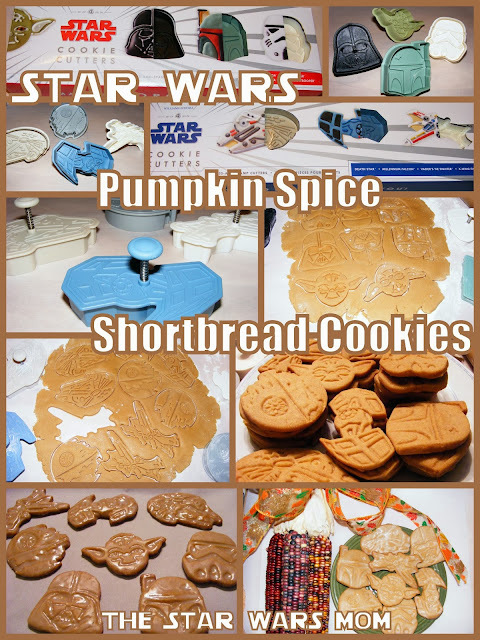 Here are some tips/hints to using these cookie cutters from Williams-Sonoma or any other Star Wars "imprinted" cookie cutters. 2. Be sure to have flour ready to dip the cookie cutters between each cut. The first time almost every cookie cutter stuck and messed up the imprint, but I pulled out the stuck dough from the cutter with a toothpick and re-floured it and from there no more issues. The butter residue on the cutter made the flour stick better on the cutter so that the dough did not stick in previous stampings. Dipping them in powdered sugar did not work for me, only the flour worked well. 3. I used my left hand to push down the actual cutter and my right hand to push down the stamp. The imprint came out excellent, as you can see. 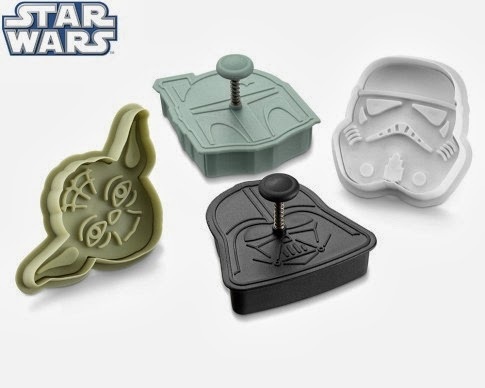 Be careful when lifting the stormtrooper to the cookie sheet before baking, as his helmet wants to break if you stamp deeply, which is what is needed to look good after baking. Either just roll out and cut on parchment paper on a cookie sheet already or coat a spatula in flour to lift the cookies gently to the cookie sheet. 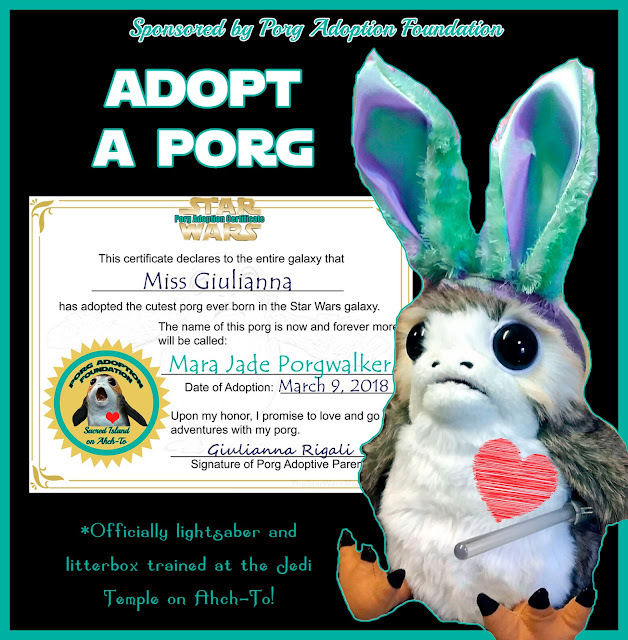 I have two prizes to giveaway, meaning two winners. First winner chosen by the randomizer will get first choice of which box of cookie cutters they will receive. Winners will have 72 hours to respond to email notification or forfeit prize. Each prize has an ARV of $20 and only US citizens residing in the USA may enter. Must be 13+ years old and comply with any sweepstakes rules/regulations for your state. No prize substitutions.